Catalina Island romantic hotels are the perfect place to have a special moment with your love. As you experience what they have to offer you will see for yourself. Whether you are looking for a quiet romantic place alone or an adventurous experience, Catalina Island has the best. When you are in the mood for romance, look no further to stay and relax. You will find a variety of accommodations that suit every need and budget. Furthermore, each is coupled with fascinating scenery and terrain making your stay memorable. The Island will keep you glued to natural as well as other vistas that will amaze you. There is really something for everyone here when it comes to romance. 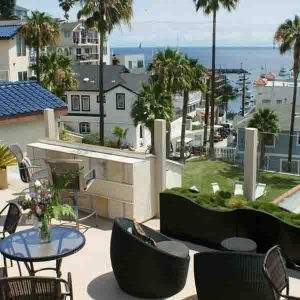 Our featured choice for Catalina Island romantic hotels is the Aurora Hotel. Over the years, the Aurora Hotel has earned a commendable name as the top romantic destination for many couples. Seems like they all enjoy their romantic moments in the hotel. From its perfect location to the rooftop deck with ocean and bay views, this lovely and charming experience is simply heaven for any couple. The fascinating vistas are combined with various activities designed for romantic moments. These are just a few reasons that make Aurora hotel to be an excellent romantic destination. People have made Aurora Hotel a wedding, romantic, and anniversary destination. 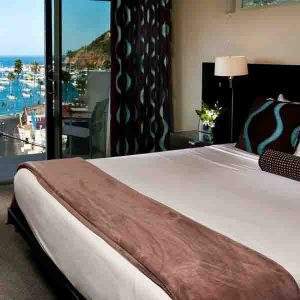 It definitely sets itself apart from other Catalina Island romantic hotels. Imagine waking up with the ocean at your fingertips…the possibilities are endless. Did I mention that the Aurora Hotel is not your ordinary hotel? 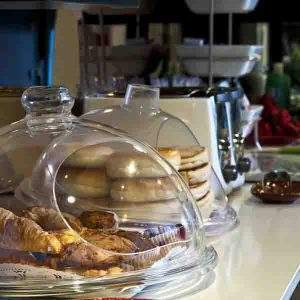 The continental breakfast starts the day right to nourish your experience of all the romantic things to do. The hotel website even boasts a page called “Top Tips for Catalina Romance”. These help give you wonderful ideas for building intimacy in that special relationship. You can choose to stay in an ocean view room, partial ocean view room, or standard room. Even more spacious are the celebrity and junior suites. Each of the rooms is customarily furnished with unique art designs and special amenities. These include flat screen TV, free WIFI, and a complimentary continental breakfast. Rooftop Luxury – This spectacular area on top of the hotel offers intimate sitting areas with an expansive view of the ocean and harbor. This is a great place to relax during the day and then savor the ambience of the evening. There is something magical about the water at night; this combined with the sparkling nighttime lights creates a truly romantic setting. Top Tips for Catalina Romance – The Aurora Hotel offers 7 tips for romance during your stay. The challenge is to do all of them during your stay to ensure the best experience of romantic moments. Happy Anniversary Package – This is a mid-week special for one or two nights in a junior suite that offers a beautiful way to celebrate that special day. The hotel is always thoughtful of these occasions and will most likely surprise you with a small gift upon entry to your room. Romantic dinner – What’s a romantic getaway without dinner for two at a memorable, intimate restaurant? The cordial staff will help you find the perfect place for your culinary experience. This romantic dinner is sure to be one of a kind, specially prepared by a world-class chef just for the two of you to share together. Adventurous activities – There are various adventurous activities for two. The activities range from scuba diving, parasailing, zip-lining and many other outdoor exploration activities for couples to enjoy together. Special arrangements – This is a perfect way to surprise the love of your life – just call the hotel in advance. Aurora hotel allows you to make arrangements with them in order to surprise the one you love. This arrangement is specially done here where many other hotels don’t. When it comes to romance, you’re in good hands with the Aurora Hotel!